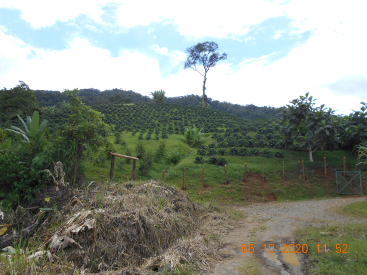 Esparanza farm- 909 acres- $1,550,000. Protect the environment. 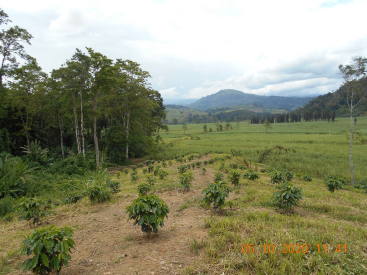 Maintain a responsible balance of forest, jungle, and a productive farm. 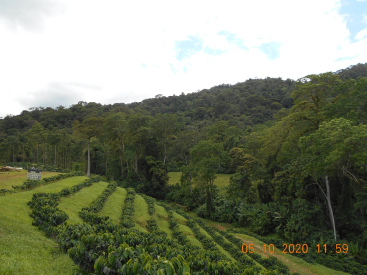 In the mountains with lots of forest and about 300 hectares in an income producing water and forest protection, government plan that pays $80.Per hectare per year, known as Fonafifo. This part of the farm is set aside and you can't cut the trees in this pristine area. Near the top of the mountain there are a band of monkeys. Toucans and many other birds are seen regularly; as well as other wildlife. 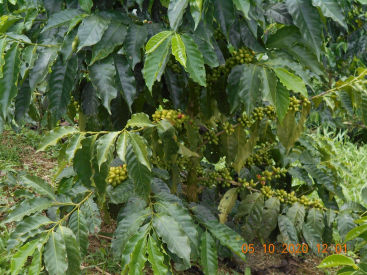 8000 to 12000 new coffee plants are being planted in the next few months of newer and higher yield coffee. They are now planting Ayote squash for export and for some local markets. Approximately 100 banana plants are in different stages of growth. About 100 acres are cleared in various areas. Nearly 200 acres are NOT in the protective areas. Plenty of spring water and small creeks on the property. Just across the gravel side road is the famous Pejibaye River, one of the most beautiful rivers in Costa Rica. Well known for kayaking, tubing, rafting, swimming, fishing, canoeing. The small town of Pejibaye is about 10 minutes away. Plenty of area to build house and barn and raise a large garden or plant fruit trees. There is a small office and a storage building on the farm now. This would make a great tourist and recreational property for those who love the out of doors, jungle foliage and wild flowers, river, verdant and majestic trees. Come and see and enjoy the "pure air" and "clean water" of this part of Costa Rica. Elevation is 2100 ft. at the road level and goes up from there. Just off Highway 225. Owner will divide and sell off 500 acres. 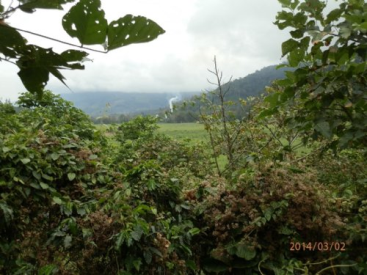 This large forest and farm tract is only 20 minutes from Turrialba.